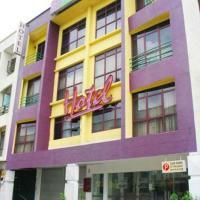 Okid Hotel offers affordable accommodations situated close to dining, shopping and entertainment options. It features rooms with private bathrooms and free internet access. The front desk opens 24 hours. Rooms at Okid come with air conditioning, cable TV and bathroom amenities. A tea/coffee maker is included. Room service is also provided. Guests can make travel arrangements at Hotel Okid’s tour desk. Laundry services are available. Located in the heart of business district Permas Jay, Okid Hotel is a 30-minute drive from Senai Airport. Overlooking the Straits of Johor, this hotel features 4 restaurants and an outdoor pool. In the shopping and commercial district, it also houses a spa and a fitness center. The Puteri Pacific Johor Bahru is 14 miles from Sultan Ismail International Airport. Singapore's Changi International Airport is 17 miles away. Spacious air-conditioned rooms at Pacific Puteri include a TV with satellite channels and a private bathroom with a hairdryer. Tea/coffee-making facilities and a minibar are included, along with a personal safe. Guests can head to Secret Garden Spa for relaxing massages and beauty treatments. Sauna facilities and yoga classes are offered at Pacific Fitness. Alternatively, tennis and racquetball courts are available. International buffet and local delights are served at The Newsroom Café. Halal dishes can be enjoyed at Kai Xuan Chinese Restaurant. Suria City Hotel Johor Bahru is an hour’s drive from Singapore’s Changi International Airport. It houses a restaurant and features modern air conditioned rooms with a small sitting area. Fitted with tiled floors, rooms are equipped with a TV with cable channels and a private bathroom. Coffee/tea making facilities and a minibar are included. Ironing facilities and a hairdryer are available upon request. Johor Bahru’s Suria City Hotel is half a mile from Stulang Laut Beach and one mile from the Singapore-Johore Causeway. It is 2 miles from the Hutan Bandar Recreational Park. Guests can sample both local and Western cuisine at the hotel’s Bunga Padi Restaurant. Alternatively, drinks and light meals are served at the lobby lounge. Room service is also available. Suria City provides a laundry service and meeting/banquet facilities. Wi-Fi access in the hotel’s public areas is for an extra fee. Overlooking the Straits of Johor, Thistle Johor Bahru offers accommodation with a flat-screen TV and 24-hour room service. The hotel features 4 dining options and a two-level outdoor swimming pool. Located at the heart of Johor Bahru, Thistle is 5 km from Danga Bay. Singapore’s Changi International Airport is 30 km away. Spacious modern rooms at Thistle are equipped with air conditioning and internet access. Private bathrooms come with bath and shower facilities. In addition to daily morning newspapers, a tea/coffee maker and a minibar are included. Guests of Thistle Johor Bahru can exercise in the fitness centre or play a game of tennis. To relax, they can go for a massage at the spa. Featuring an open kitchen concept with dining areas and a bar, Oasis serves Japanese and Italian fusion dishes. Glass features local and international dishes with views of landscaped gardens. All day drinks and snacks are available at Steps. Just a 10 minute drive from Johor-Singapore Causeway, New York Hotel offers free parking facilities. It has an indoor swimming pool with a hot tub, as well as a spa center. Hotel New York is a 30 minute drive from Sultan Ismail Airport. Modern rooms include a flat-screen TV and tea and coffee-making facilities. A bathtub is provided in its private bathrooms. Room service is available 24 hours. Guests can work out at the well equipped fitness center or relieve aching muscles with a massage at the spa. Other facilities include car rental and currency exchange services. Dining options at the hotel include a 24-hour coffee shop at the lobby. Located within a duty free shopping and entertainment complex, The ZON Regency features an outdoor pool and a spa. Its spacious rooms offer sea and city views and free Wi-Fi. The ZON Regency Hotel Johor Bahru is a 10-minute drive from the business district, the Johor-Singapore Causeway and the Royal Museum. Modern and stylish rooms at The ZON Regency Hotel feature air conditioning and a flat-screen TV with cable channels. The private bathrooms come with shower facilities and a bathtub. Room service is available. Guests can exercise at The ZON’s fitness centre or relax in the sauna. Other facilities include a business centre and a store selling wines and cigars. Salt ‘n’ Pepper Café Restaurant serves local favourites, European dishes and daily buffets, while Palm Bistro and Palm Lounge features snacks, drinks and live music entertainment. A Chinese restaurant is also available. 11@Century houses a restaurant and offers affordable accommodation with flat-screen TVs and free Wi-Fi access. Situated opposite KSL City Mall in Johor Bahru, it is 5 km from Singapore City. Less than 10 km from The Singapore Zoo and Night Safari, 11@Century Hotel is 30 km from Singapore Changi International Airport. Modern rooms at 11@Century are equipped with air conditioning and en suite bathrooms with toiletries. Tea/coffee making facilities are included. Open 24 hours, the hotel’s front desk provides a luggage storage service. Guests who drive can park on the hotel premises for free. Offering a cafe, Hotel Seri Malaysia is a 10-minute drive from Johor Bahru. It features modern rooms with a private balcony and a sitting area. Free Wi-Fi is provided. Hotel Seri Malaysia Johor Bahru is a 10-minute walk from the Larkin Bus Station and Central Market. Less than 2 miles from Austin Hills Golf Resort, the hotel is about 20 miles from Singapore’s Changi International Airport. With carpeted floors, air conditioned rooms at Seri Malaysia are equipped with a private bathroom and a TV with cable channels. Coffee/tea making facilities and a minibar are included. Tanjung Puteri Café serves a variety of local delights and Western favorites. The hotel has a courtyard area which can be used for barbecues. Guests can shop for gifts from Hotel Seri Malaysia Johor Bahru’s convenience store. The 24-hour front desk offers car rentals and laundry services. A 5-minute drive to the city centre, Heritage Hotel Johor Bahru overlooks the Straits of Johore. It provides affordable accommodation, 24-hour front desk and free parking. Rooms at Heritage Hotel feature air conditioning, TV and a private bathroom with bathtub and shower facilities. The hotel provides meeting facilities, currency and photocopying/fax services. CIQ Shopping Complex, Stulang Duty Free Trade Zone and various dining options are a 15-minute walk away from Heritage Hotel. Heritage Hotel Johor Bahru is a 10-minute drive to Singapore city. Silka Johor Bahru is in Johor Bahru, half a mile from Giant Hypermarket. It features a swimming pool, 3 dining options and rooms with a flat-screen TV. Free parking is available. Silka Johor Bahru is a 15 minute drive from Tiram Indoor Water Park and 12 miles from Sultan Ismail Airport. Modern décor and air conditioning feature throughout the guest rooms. Each well-furnished room is equipped with a safe and tea/coffee maker. Hot showers are also available. Guests can work out at the fitness center or relax in the hot tub. The hotel provides currency exchange and car rental service. Laundry and dry cleaning services are available upon request. Checker Café serves all-day Asian and Western specialties, while local dishes are offered at Kopitiam Corner. Cocktails and drinks are available at DBar. Located at the Straits of Johor border overlooking Singapore, M-Suites Hotel provides spacious accommodations with living and dining areas and a kitchenette. It features 3 restaurants and an outdoor pool. With hardwood floors, air-conditioned suites have a private bathroom with a hairdryer and a satellite TV. Living and dining areas are included and the kitchenette has tea/coffee making facilities and a fridge. Room service is available. Myra Bistro serves local and international specialties including Szechuan and Cantonese cuisines, accompanied by views of the Straits of Johor. MAIO Restaurant features homemade Italian dishes and Mediterranean delights. Guests can exercise in the fitness center or sing in the well-equipped karaoke room. Free Wi-Fi is available in the hotel’s public areas. M-Suites Hotel Johor is a 15-minute drive from the Johor-Singapore Causeway. The famous Legoland Malaysia and Sanrio Hello Kitty Town is approximately a 20-minute drive away. Located in the city, just a 10-minute drive from the Johor Bahru-Singapore Causeway, Embassy Hotel offers affordable rooms with Wi-Fi access. There is an indoor pool and a gym. Embassy Hotel & Service Apartment is a 10-minute drive to the Johor Bahru International Ferry Terminal and a 15-minute drive to the North-South Expressway. 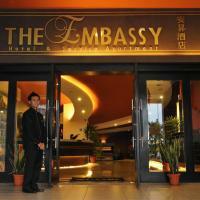 Rooms at Embassy Hotel & Apartment are air conditioned and feature a flat-screen TV and a minibar. Coffee/tea making facilities and a hairdryer are provided. The apartments offer ample living space and a kitchenette with a microwave and fridge. Guests can make tour arrangements at the tour desk. Other facilities include a business center and free private parking. Laundry service is also available. 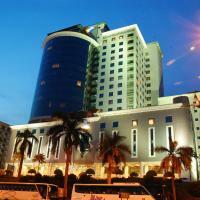 Grand Hallmark Hotel is located in the banking hub of Taman Molek in Johor Bahru. The hotel offers free Wi-Fi and rooms with flat-screen cable/satellite TVs. Rooms at Hotel Hallmark Grand are equipped with a hairdryer and tea/coffee maker. A personal safe and ironing facilities are included. Guests can spend a day at the golf courses, within 2 miles of the hotel. Guests services include baggage storage, currency exchange and ticketing services. Laundry and dry cleaning services are available. Grand Hallmark Hotel is a 5-minute drive from Ponderosa Golf and Country Club and Austin Hills Country Club. 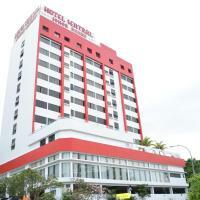 Eight Days Hotel is located in the heart of Permas Jaya. It offers rooms with 32-inch flat-screen TVs and ironing facilities. It also features a restaurant and free Wi-Fi. Eight Days Hotel is a 30-minute drive from Senai Airport. The hotel offers free private parking. Hotel Eight Days provides rooms with satellite channels, hairdryer, and tea/coffee making facilities. All rooms come with private bathroom. Guests can enjoy a good meal at the hotel’s restaurant or in the privacy of their rooms.The hotel provides baggage storage facilities for the convenience of guests. They can also enjoy fax and photocopying services. Hotel Time is situated in Johor Bahru, a 30-minute drive from Senai International Airport. The hotel is conveniently located near the city’s business district, and features free Wi-Fi. Rooms at the hotel are equipped with cable TV and tea/coffee making facilities. Room service is also available. The hotel provides laundry and wake-up call services. Hotel Time is a short drive from the Johor-Singapore Causeway. It is also within walking distance of mega shopping complexes, dining and entertainment outlets. Euro Hotel Skudai is located in Taman Nusa Bestari in Skudai. It offers facilities like a mini movie theater, a meeting and presentation room, as well as free Wi-Fi. All rooms have air-conditioning, private bathrooms with hot and cold shower, and flat-screen TV with satellite channels. An iron and hairdryer can be provided upon request. Guests can relax or play a game of pool at the hotel lounge. Blockbuster movies are also screened at the exclusive mini movie theater, which guests can enjoy for free. Euro Hotel Skudai is located a 20-minute drive from the Tuas Second Link in Singapore and central Johor Bahru. 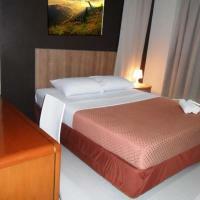 Euro Rich Hotel offers comfortable rooms with a flat-screen TV in Skudai, a 15-minute drive from central Johor Bahru. It features parking space and free Wi-Fi. Hotel Euro Rich is a 20-minute drive from Singapore via the Second Link and a 25-minute drive from Senai Airport. Aeon Bukit Indah Shopping Center and Sutera Mall are within a short drive from the hotel. Modern rooms at Euro Rich are equipped with Astro and Singaporean satellite channels and free Wi-Fi access. The private bathroom has heated shower facilities and amenities. Iron facilities and hairdryers are provided upon request. The hotel provides fax and printing services. Daily newspapers are provided at the hotel’s lobby. A 24-hour front desk attends to guests’ needs throughout the day. Guests can enjoy popular Malaysian and Western dishes at Platinum Bistro. Pariss Hotel is located at Taman Nusa Bestari in Skudai, a 15-minute drive from the Malaysia-Singapore Second Link. The hotel features an infinity pool, free parking and free Internet. Rooms at Hotel Pariss are furnished with a 32-inch flat-screen TV with satellite channels. A safe, writing desk and tea/coffee making facilities are provided. Guests can relax at the rooftop infinity pool, or enjoy a massage at the spa. Pariss provides private rooms for meetings and discussions. Laundry and room service is available at the hotel. The hotel features a roof top restaurant where guests can have their meals. Pariss Hotel is a 15-minute drive from Port Tanjung Pelepas and Senai Airport. Overlooking the Straits of Johor, Grand Bluewave features an outdoor pool and a gym. Offering rooms with free internet access, it also provides a free shuttle service to City Square and KSL shopping malls. A 2-minute drive from the Singapore Checkpoint, Grand Bluewave Hotel Johor Bahru is 17 miles from Singapore’s Changi International Airport. Offering a modern décor, spacious rooms at Johor Grand Bluewave feature a TV with cable channels and a private bathroom with a hairdryer. In addition to a personal safe, tea/coffee making facilities and a minibar are included. Dining options at the hotel include Agehan Restaurant, which serves Japanese dishes. Hearty buffets are offered at Orient Express, while Trevi Fountain Lounge features cocktails with relaxing music. Guests at Grand Bluewave can enjoy a game of racquetball, or make an appointment at the hair/beauty salon. On-site parking is free. The Hotel Selesa has elegant accommodations, free Wi-Fi throughout the entire hotel and the convenience of a restaurant with 24-hour room service. It features an outdoor pool and a fitness center. The rooms are air-conditioned and have private bathroom facilities. They include cable TV, a minibar and ironing facilities. The Selesa Hotel provides free newspaper and drinking water daily. 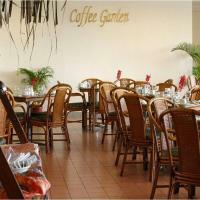 The Hotel Selesa Johor Bahru’s Coffee Garden serves an international buffet lunch daily. Local specialties can also be sampled. Room service is available. Hotel Selesa is just over half a mile from the Johor/Singapore Custom Complex. The nearest mall, Plaza Pelangi Shopping Center is a 5-minute walk from the hotel, and KSL Mall and City Square Shopping Mall are a 5-minute drive away. Sultan Ismail International Airport is a 35-minute drive away. Rose Cottage Hotel Taman Johor Jaya is located in Northern Johor Bahru, about one mile from the famous JUSCO Tebrau City. It offers free Wi-Fi and a 24-hour front desk. Taman Johor Jaya Rose Cottage is a 40-minute drive from The Johor Bahru Chinese Heritage Museum. Permas Jaya Sports Complex is 4 miles away. 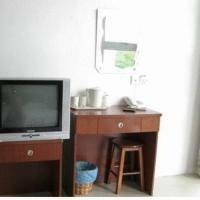 Rooms at Rose Cottage Johor are simply furnished with a cable TV and air conditioning. Each comes with a dressing table and electric teakettle. Private bathrooms feature shower facilities. Daily newspapers and baggage storage are available at the reception. Afternoons can be spent playing golf at Daiman 18 Golf Club, just 2.5 miles away. A tasty local breakfast is available every morning at the hotel’s dining area. Rose Cottage Hotel Taman Daya Johor Bahru is located 3 miles from the famous JUSCO Tebrau City Mall along Jalan Pandan. It offers free Wi-Fi and a 24-hour front desk. Taman Daya Rose Cottage is 1.5 miles from Setia Indah Township. Many local attractions such as Istana Besar and Royal Abu Bakar Museum can be found there. Tebrau Business Park is 2 miles away. Rooms at Rose Cottage are simply furnished with a cable TV and air conditioning. Each comes with tea/coffee making facilities and private bathrooms. Baggage storage and fax facilities are available at the reception. The hotel’s convenient location ensures easy access to nearby mega marts like Carrefour and Giant Hypermarket. Rose Cottage Hotel Taman Perling is located in Taman Perling Township, a 20-minute drive from downtown Johor Bahru. It offers free Wi-Fi in public areas and a daily breakfast. Rose Cottage is a 40-minute drive from Senai Airport Johor. The hotel is steps from Perling Mall and surrounded by local shops and dining options. Rooms at Taman Perling Rose Cottage are simply furnished with a color TV and air conditioning. Each comes with an electric teakettle and work desk. A tasty local breakfast is available every morning at the hotel’s dining area. Alternative dining options in the area include Restoran Kong Inn and Restoran Samarnya. Newspapers are available at the 24-hour front desk. For added convenience, room service is also available. Offering rooms with free Wi-Fi, Grand Paragon is within a 15-minute walk from KSL Shopping Center. Featuring an outdoor pool and spa, it also houses a salon and massage center. Located next to Tebrau Highway, Grand Paragon Hotel Johor Bahru is a 45-minute drive from Singapore Changi International Airport and less than 2 miles from Kukup Golf Resort’s 18-hole course. Rooms at Grand Paragon are equipped with a flat-screen TV and a sitting area. Private bathrooms come with a hairdryer. A minibar and bottled water are included. Guests can exercise in the fitness center or relax in the sauna. Alternatively, they can have a foot or body massage at Mingzu Reflexology. Other facilities include a karaoke lounge with private rooms. Café Para Para serves local and international dishes round-the-clock, while Kishin-Tei features Japanese fusion dishes for lunch and dinner. Offering views of Johor Bahru, The Grand Paragon Sky Lounge serves light snacks and drinks. Zoom Inn Boutique Hotel is located in Danga Bay, one mile from the center of Johor Bahru. It offers a cafe, convenience store and free internet access in guest rooms. Rooms at Zoom Inn Hotel are decorated with colorful artwork. Each room is equipped with a 32-inch flat-screen TV and coffee/tea making facilities. Private bathrooms have a hot and cold rain shower. Guests can use the hotel’s computer stations with high-speed internet access. Laundry services are available in a neighboring facility. Hot and cold beverages are sold at the convenience store. 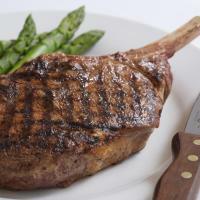 More dining options are a 10-minute drive away. Zoom Inn Boutique Hotel is a one-hour drive from Singapore’s Changi International Airport. Featuring budget-style accommodations, Hotel Aromas offers free parking and features air-conditioned rooms with free Wi-Fi. A 24-hour front desk and laundry services are provided in the hotel. Aromas Hotel is located in Permas Jaya, in close proximity to famous seafood restaurants in Senibong. Johor Bahru Town is a 10-minute drive away, while Senai Airport is a 35-minute ride away. Aromas’ rooms offer a TV with satellite channels and a telephone. Private bathrooms come with hot/cold shower and toiletries. A tea/coffee maker and electric teakettle are provided in each room. Guests can request for airport shuttle service services. The hotel also offers daily newspapers in the lobby. WF Hotel is a 5-minute drive from Singapore Causeway and half a mile from KSL Shopping Mall. It has a cafe and offers rooms with a flat-screen TV and free Wi-Fi. Situated at Jalan Gelam in Johor Bahru, WF is one mile from City Square Shopping Mall and 19 miles from Senai Airport. Decorated with simple furnishings, air-conditioned rooms feature a private marble bathroom with a rainshower. Hairdryers and ironing facilities can be provided upon request. Hotel WF’s front desk opens 24 hours. Guests can keep themselves updated with current affairs by reading the daily newspapers in the lobby. The hotel provides free parking. Bliss Boutique Hotel is Hotel is located in central Johor, a 10-minute drive from the Johor-Singapore Causeway. 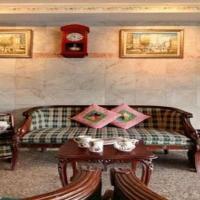 The hotel features a restaurant and individually themed rooms with 32-inch flat-screen TVs. No two rooms at Bliss Boutique are alike in design. Amenities include cable TV, tea/coffee making facilities, and a safe. Each room comes with an attached bathroom. Hotel facilities include a 24-hour front desk and a concierge desk. Bliss Boutique Hotel has wheelchair access, as well as non-smoking rooms. Fax and photocopying services are available. After a meal at the restaurant, guests can enjoy a drink at the wine bar and cigar room. More dining options are available at the food centers within walking distance of the hotel. Bliss Boutique Hotel is a 10-minute drive from Johor Bahru’s international ferry terminal. Senai International Airport is a 20-minute drive away. 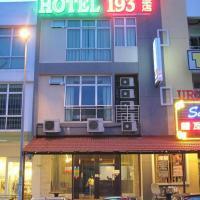 Hotel JSL offers modern rooms in a convenient location, a short one mile from Jusco Tebrau. Featuring a rooftop cafe, it offers free parking and free Wi-Fi access. Guest rooms are fully air conditioned and come with a work desk and a flat-screen TV. The stylishly designed rooms have a private bathroom with shower facilities. The hotel’s rooftop cafe has a garden setting, ideal for guests to host events and parties. JSL Hotel has a 24-hour front desk. Fax and photocopying services are available at this hotel. Hotel JSL is one mile from Tesco Tebrau. It is a one-hour drive from Senai Airport. Dragon Inn Premium Hotel is located along Jalan Meldrum, a walking street in central Johor Bahru. It offers air conditioned rooms with satellite TV. Wi-Fi is free throughout the hotel. The Dragon Inn Premium Hotel is just a 5-minute walk from City Square Shopping Mall. Within 10 minutes by foot, guests can reach Little India, Plaza Kotaraya Shopping Center, and the train station. Sultan Ismail Airport is a 30-minute drive away. Each room at Dragon Inn is simply furnished and comes with an attached bathroom, which provides a hot and cold shower. 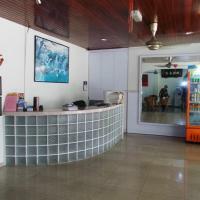 CIQ Hotel is within a 10-minute drive from Stulang Beach and the Duty Free Zone at City Square. It features affordable accommodations with a flat-screen TV and free Wi-Fi access. 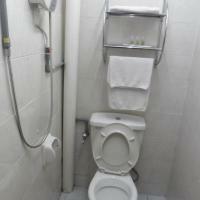 Fitted with tiled floors, cozy rooms at CIQ are equipped with air conditioning and a private bathroom with toiletries. An electric teakettle and a wardrobe are included, along with a small sitting area. The hotel has a front desk that is open 24/7. Those who drive can park on the hotel premises for free. In Johor Bahru, the hotel is across from restaurants which serve a variety of local delights. It is a 35-minute drive from Senai Airport. Located at Jalan Sri Pelangi, Golden Court features modern rooms with free Wi-Fi. This boutique hotel is a 5-minute walk from a variety of eateries serving local and western delights. Golden Court Hotel is a 5-minute drive from shopping options at Leisure Mall, Plaza Pelangi and KSL City Johor Bahru. The hotel is a 15-minute drive from Lakin Bus Station and a 30-minute drive from The Senai Airport. Fitted with tiled floors, air conditioned rooms feature a private bathroom and a TV with satellite channels. An electric teakettle is included. Room service is available. The hotel’s 24-hour front desk offers baggage storage and currency exchange services. A drinks vending machine is available in the lobby. Those who drive get to enjoy free parking. Zen Zeng Hotel offers affordable rooms in Johor Bahru, a 10-minute drive from the Singapore-Johor Immigration Checkpoint, City Square and Danga Mall. It offers free Wi-Fi, free parking and 24-hour front desk. Simply decorated in pleasant colors, the air conditioned rooms come with a TV, electric teakettle and ironing facilities. The en suite tiled bathroom has hot water showers. Zen Zeng Hotel is surrounded by eateries which serve local food. It is a 25-minute drive from Senai Airport and a 30-minute drive from central Johor Bahru. The hotel provides laundry and dry cleaning services. Daily newspapers can be requested at the front desk. The hotel's restaurant serves a daily buffet breakfast. In-room dining is also possible with room service. Grand Sentosa Hotel is located within Plaza Sentosa Shopping Mall in Johor Bahru. Offering modern rooms with free internet, it also has a 24-hour front desk. It is a 10-minute drive from Holiday Plaza Shopping Mall and Plaza Pelangi Shopping Mall. Fully air-conditioned, rooms feature modern decor and pleasant pastel colours. Each is equipped with a flat-screen TV, electric kettle and personal safe. Grand Sentosa Hotel is a 45-minute drive from Johor Premium Outlet and Senai Airport. It is a 7-minute drive from Tebrau Highway, which connects to the city. Desaru is an hours' drive away. Dry cleaning and ironing services are provided by the hotel. Basic business facilities like fax and photocopying are also available. Citrus Johor Bahru offers affordable and well-furnished rooms in Johor Bahru's central business district. 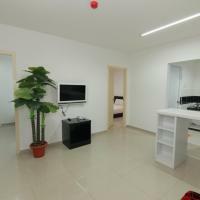 It is within walking distance of City Square shopping mall and offers free Wi-Fi. Johor Bahru KTM Train Station and the Singapore-Johor Causeway are just a short walk from the hotel. Other nearby shopping options include Komtar and Kotaraya shopping complexes. They are both a short walk away. Air-conditioned rooms at Citrus Hotel are well-equipped with a TV and private bathrooms featuring toiletries and hot/cold shower facilities. An iron and hairdryer are available upon request. Guests can use the business center. Laundry and dry cleaning services are also provided. Featuring a colourful exterior, this boutique hotel offers free on-site parking and modern rooms with complimentary Wi-Fi access. It is a 15-minute drive from central Johor Bahru and a 20-minute drive from Danga Bay. Eight Days Boutique Hotel (Mount Austin) is a 5-minute drive from Jusco and Tesco hypermarkets and a 30-minute drive from Senai International Airport. Kota Tinggi Waterfall is a 45-minute drive away. Fitted with tiled flooring, air-conditioned rooms offer a laptop safe box and a private bathroom with shower facilities. An electric kettle and free bottled water are included. Room service is available. Eight Days has a 24-hour front desk which provides a luggage storage service. Golden Leaf Hotel provides simple air-conditioned rooms with an en suite bathroom and free Wi-Fi a 10-minute walk from Danga Bay, Johor Bahru. It has a 24-hour front desk, ironing services and a shuttle service. Rooms are well equipped with fine beddings and warm lighting. They feature a 24-inch flat-screen TV and a modern bathroom with hot shower facilities and toiletries. A hairdryer is provided on request. The hotel’s shuttle service goes to Senai Airport, situated a half hour drive away. Festival Street Mall is within a 5-minute walk of Hotel Golden Leaf. Hotel Alam Indigo is a 10-minute walk from Tesco Extra Plentong – a hypermarket. Situated in Masai, it offers rooms with a flat-screen TV and free Wi-Fi access. Alam Indigo is a 15-minute drive from Johor Bahru’s Customs Complex. Desaru, Kota Tinggi and Senai Airport are within a 30-minute drive away. Fitted with tiled flooring, air-conditioned rooms feature dark wood furnishings and satellite TV. Private bathrooms come with shower facilities. Select accommodation offers a kitchenette. The hotel has a front desk that is open round-the-clock. Guests can also start the day by reading the newspapers in the lobby. Hotel 193 offers affordable accommodation with air conditioning and an en suite bathroom, steps from restaurants, banks and convenience stores. It provides free Wi-Fi in the entire hotel and a 24-hour front desk. The hotel is a 30-minute drive from Desaru Beach, Johor Bahru City Centre and Senai Airport. Rooms at The 193 Hotel are simple and elegantly decorated. They are all fitted with satellite TV. Located in Johor Bahru, JB City Hotel is a 5-storey property offering basic air-conditioned rooms with free Wi-Fi. It is a 5-minute drive from Plaza Angsana Shopping Mall and a 10-minute drive from the city centre. Simply furnished, rooms all come with a TV. Some rooms come with windows. Private bathrooms have hot-water showers. 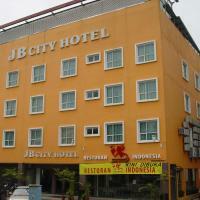 JB City Hotel is a 15-minute drive from the Singapore Causeway and a 30-minute drive from Senai Airport. Free parking is available nearby. The on-site restaurant serves Indonesian cuisine. The hotel is also within walking distance from local eateries. Offering modern rooms with free Wi-Fi, Hotel Austin Paradise is located in Johor Bahru, a 5-minute drive from shopping at Tesco, Jusco and Carrefour. Daily newspapers are provided at the 24-hour front desk. Fully air-conditioned, rooms are equipped with a flat-screen TV and electric kettle. Bathrooms come with either shower facilities, or a spa bathtub. Both smoking and non-smoking room types are available. Hotel Austin Paradise is within a 20-minute drive from Johor Bahru City Centre and the Singapore customs checkpoint. It is a 35-minute drive from duty-free shopping at Kulai and Senai Airport. Guests can make use of the hotel's business centre and meeting rooms. Wake-up service is also available. upon request. Situated in Johor Bahru, Rooms Boutique Hotel is a 2-minute walk from local dining options. It offers design rooms with a flat-screen TV, room service and free Wi-Fi access. Hotel Rooms Boutique is 100 metres from the nearest nightclub and a 5-minute drive from Jusco Tebrau and Tesco hypermarkets. It is a 10-minute drive from Danga Bay and a 20-minute drive from City Square. Air-conditioned rooms feature their own unique décor and designer furniture. Tea/coffee making facilities and free bottled water are provided. Private bathrooms come with a rainshower and hairdryer. The hotel provides an internet corner with complimentary internet access. Staff at the 24-hour front desk can assist with fax/photocopying, laundry and luggage storage services. Ironing facilities are available on request. 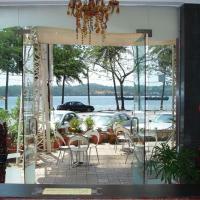 Located a 15-minute walk from Danga Bay City, Tune Hotel - Danga Bay Johor offers basic rooms with an attached bathroom. Free parking and a 24-hour front desk are available. Danga Bay’s Tune Hotel is a 30-minute drive from Senai Airport and 15 km from Woodlands Checkpoint. A chargeable shuttle service from Resorts World Sentosa, Universal Studios and Marina Bay Sands in Singapore is available. Rooms come with both air conditioning and a fan. Bed linen, hot water supply and towels are provided. Each also has a safety deposit box. Luggage storage facilities are provided at the front desk. Disabled-friendly rooms are available upon request. This hotel has a prayer room. Guests have access to a variety of restaurants a 10-minute drive from the hotel. Hotel Sentral provides elegant rooms within a 2-minute walk of the KTM Johor Bahru Train Station. Conveniently located in Johor Bahru, the hotel also offers laundry services and free Wi-Fi in public areas. The hotel is situated about 7 km from the Johor -Singapore Causeway and about 6 km from Permas Jaya Golf Club Johor. The Senai Airport Terminal is situated about 25 km away, while the Danga City Mall is within 4 km of the hotel. Free parking is available on site. All rooms at Hotel Sentral Johor Bahru are fitted with wooden flooring and warm lighting. They are equipped with a flat-screen TV, a telephone and tea/coffee making facilities. The rooms offer views of the city or the sea. The restaurant provides an international menu. It also serves local specialities. Conveniently located inside KSL Shopping Mall in Taman Century, KSL Resort has modern rooms with free Wi-Fi and a flat-screen TV. Guests can enjoy free entrance to the Dinosaurs Alive Water Theme Park. KSL Resort is a 5-minute walk from Holiday Plaza Mall and a 7-minute drive from central Johor Bahru. Johor Premium Outlet is a 20-minute drive away. Modern rooms are air-conditioned and equipped with tea/coffee-making facilities and a personal safe. Free toiletries and a hairdryer are provided. Fax and photocopying services are available in the business center. Guests can pamper themselves with a treatment in the barber and beauty shop. Babysitting services are available. International cuisine is served in the 24-hour Infusion Café and Mission Golf Bar and Grill serves a selection of Western dishes. Light snacks and cocktails can be enjoyed in Twilight Lounge. Located in the waterfront city of Danga Bay, this property is a 10-minute walk from City Square shopping centre. It offers free Wi-Fi access on its premises. Golden Leaf Backpacker Hotel is a 15-minute walk from Festival Street Mall, Danga Beach and Danga Bay Theme Park. 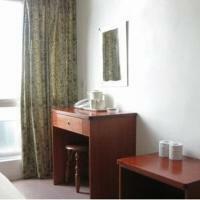 Rooms are fitted with a fan, TV and tea/coffee-making facilities. The shared bathrooms come with 24-hour hot-water showers. An iron and hairdryer are available upon request. Safety deposit boxes and luggage storage is provided at the front desk. Guests can request for an airport shuttle service at an additional fee. Located at the heart of the central business district, J A Residence Hotel is a short walking distance from Johor Bahru Train Station and several shopping outlets. It provides free Wi-Fi in public areas. The hotel is located a 45-minute drive from Johor Premium Outlet. It takes 45 minutes by car from J A Residence to Sultan Ismail International Airport, Malaysia and Singapore’s Changi International Airport. The rooms are air conditioned and equipped with a TV, a writing desk and an electric kettle. They all have an en suite bathroom equipped with a hairdryer. An airport shuttle service is provided by the hotel. Other services available include laundry and dry cleaning services. Parking is free. For meals, enjoy local specialities at the all-day dining Nur Nilam Sari Café. Room service is available. Lotus Hotel Johor Bahru is situated within a 10-minute walk of mega shopping complexes with dining and entertainment options. It offers free Wi-Fi access throughout its premises. The hotel is about a 15-minute drive from the Johor-Singapore Causeway and a 30-minute drive from Senai International Airport. Fitted with tiled flooring, simply furnished air-conditioned rooms feature a TV and a private bathroom. Staff at Lotus Hotel’s 24-hour front desk can assist with luggage storage services. Oak Valley Hotel is in Johor Bahru’s Taman Tampoi Indah, a 10-minute drive from Bukit Indah Jusco Shopping Mall. It features a 24-hour front desk and free Wi-Fi throughout the building. Hotel Oak Valley is a 15-minute drive from KTM Station Johor Bahru. Senai Airport and Johor Bahru Town are a 20-minute drive away. It takes half an hour to drive to Legoland from the hotel. Basic, air-conditioned rooms are equipped with a flat-screen satellite TV and tea/coffee-making facilities. Private bathrooms include a shower and hot water supply. Drinking water is provided daily. Luggage storage is provided at the front desk. The hotel also has meeting room facilities. Guests can find local cuisine right next to the hotel.